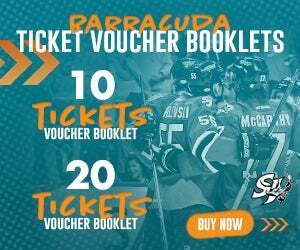 Hey Barracuda fans! Nick Nollenberger here. It’s another week, which means it’s time for another blog. I’m currently riding the bus from Tucson up to Phoenix where we fly out later this morning. As a broadcaster, I call the game as I see it and try to be as subjective and fair as possible. No one loves a homer! But winning sure is fun. Everything’s a little brighter and shinier after a couple of big wins. The mood on the bus is a lot better today than it would have been had we not claimed four points against the Roadrunners. I think this week could be a huge turning point in the season. 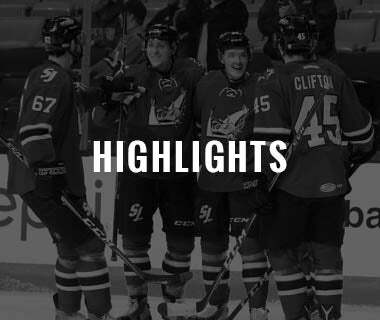 Now of course if the Barracuda don’t play well at home this weekend, we’ll forget about Tucson, but I have a feeling this week is going to be one you look back on as one of the biggest of the season. At this point, rookies have 20+ games under their belt and have an understanding of the pro game. 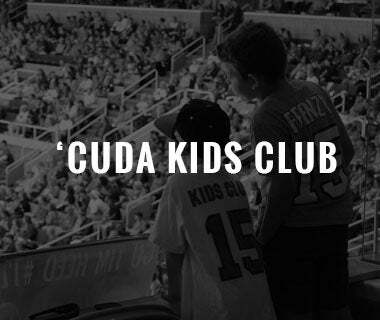 A season ago, the Barracuda hit their stride about this same point, and the rest is history. To be realistic, last years team had over nine NHLer’s on it, so this 2017-18 bunch may have to take a different route to the same location. What did we learn from Tucson? 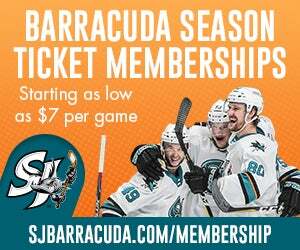 Paul Martin: The Barracuda will have the veteran blueliner for two more games before he’s returned back to the Sharks, but what a difference he’s made in his short stint. We’ll start on the ice. It’s fascinating to watch a guy with over 850 games of NHL experience work. 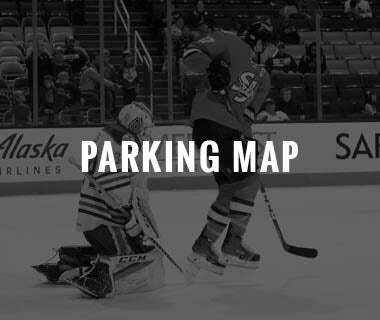 His stick location, angles to the puck, body positioning in the corners, calm demeanor, etc. are all spot on. Stuff that won’t go into the box score, but wins hockey games. Not to mention, he was on a PK unit that went a perfect nine-for-nine over the two games. Now onto the off-ice stuff… Martin’s impact on the young players is going to be felt long after he’s returned back to the Sharks. 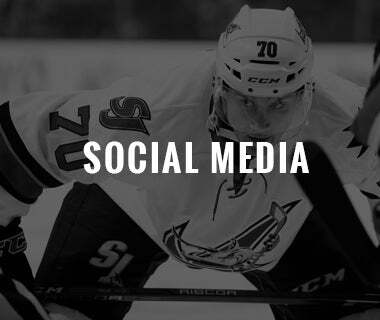 Being a pro is more than just lacing them up every night and producing. The way in which he carries himself off the ice is a great representation of the organization. John McCarthy is very much the same, but its great to have another guy like Martin in the locker room for young players to look up to. Clark Ignites Fourth Line: If you get major production from the fourth line, you’ve got a great chance of winning games. 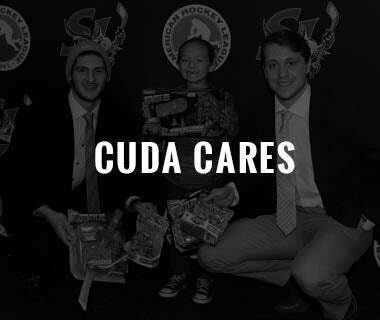 The combination of Tim Clifton, Jon Martin, and Emerson Clark were dynamic for the Barracuda in both contests in Tucson. 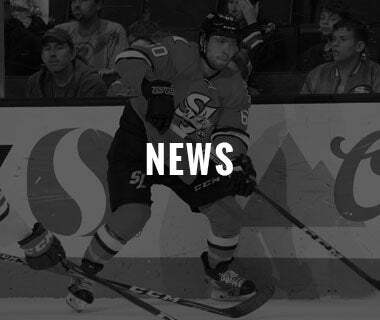 All three players scored, and Clark, who was signed last Friday to a PTO (Professional Tryout) from the ECHL’s Jacksonville IceMen, had three points (one goal, two assists), and dropped the mitts with the four-inch taller Ty McGinn on Tuesday. 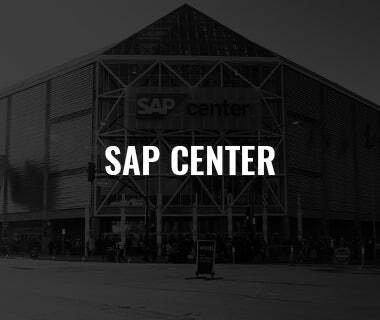 If Clark can stick around in the AHL, he’s going to be an instant fan favorite in San Jose. He can score, generate offense, and open up space for teammates because of his toughness. He still sits atop the ECHL in penalty minutes despite being in the AHL for a week now. 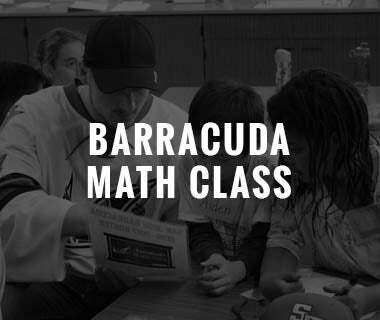 The Barracuda host the Bakersfield Condors this Saturday, December 16 (7:00 PM) and Sunday, December 17 (3:00 PM). 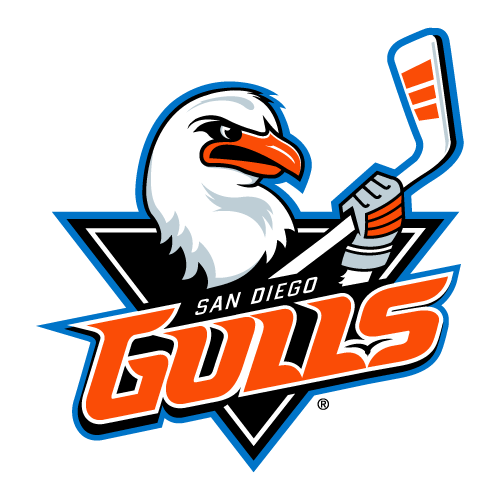 So far, the Condors have sputtered to gain traction out of the gates, but things can change quickly in the ultra-competitive Pacific Division. 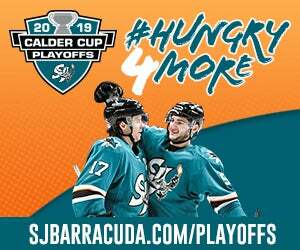 This weekend will be a big test for San Jose as the Barracuda look to win three games in a row for the first time this season. 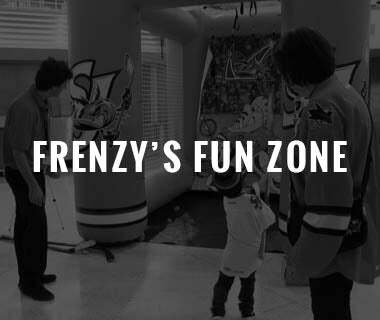 Reminder, Saturday’s game is Fighter Pilot Night and doors open at 6 PM. 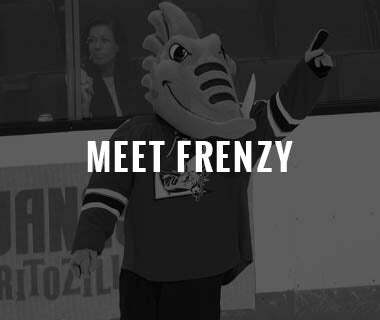 The first 4,000 fans in attendance will receive a Justin Braun/Joe Pavelski bobblehead, and the Barracuda will be wearing specialty jerseys that will be auctioned off during and after the game.